I’ve been blogging regularly for a few weeks now and thought I should take time to blog about my favorite people in the whole world! My family has become a pretty active part of the Pepperdine Law community and they truly enjoy the chance to interact with our students. My wife Molly and I feel especially called to encourage and interact with our students as many of them are away from home and in need of friends and support to help ease the pressures of law school. Whether its hosting a group of students for a ‘Game Night’ or having a student over for dinner, we really enjoy our opportunity to meet so many exceptional young people committed to making this world a better place. The real fun comes when our students get the chance to interact with our boys Cameron (2.5) and Kellen (3 months) who so far don’t believe in the concept of strangers! In fact, Cameron typically ask about how “Daddy’s students” are doing and when he will get to see them next! It’s also pretty cool to know we have a small army of potential baby-sitters at our disposal when the time comes. 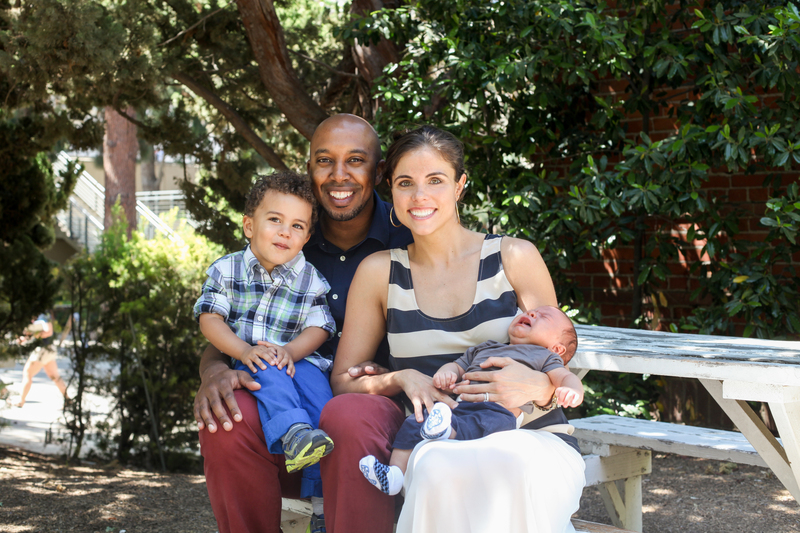 Community and Family, just a couple aspects highly valued here at Pepperdine Law. Last night, I was watching ESPN’s SportsCenter with my wife, and our Pepperdine Law colleague, Professor Roger Cossack, came on the air to provide commentary on the murder charge against NFL star, Aaron Hernandez. It is always neat to see Professor Cossack on ESPN, but it happens so often that it is no longer surprising! He has served as ESPN’s legal analyst since 2002. If you are interested in learning how Professor Cossack became the legal analyst for ESPN as well as how he ended up at Pepperdine, you will enjoy THIS INTERVIEW from a few years back in The Malibu Times. If you want to hear Professor Cossack’s commentary on the Hernandez case this morning on ESPN’s Mike & Mike radio show, you can listen to it HERE. How does a school know if it’s doing a good job preparing students? Should we really trust US News and World report to define schools against one another? 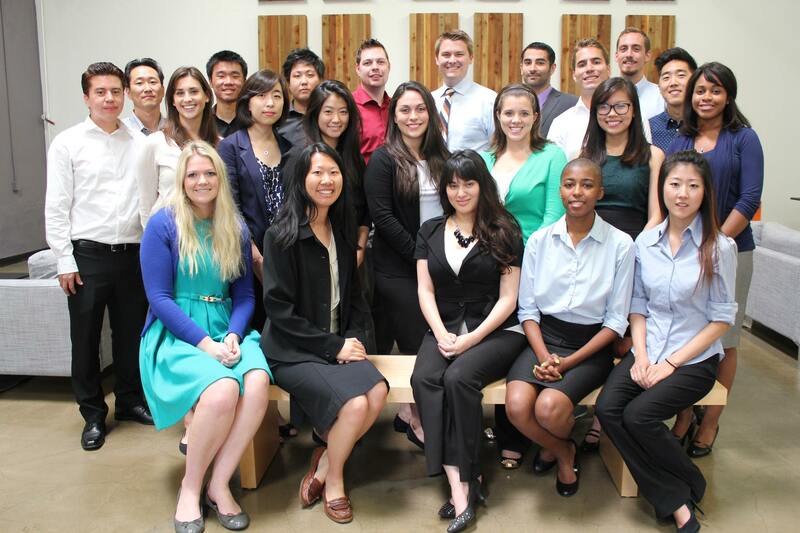 This past spring semester, students at Pepperdine Law participated in the Law School Survey of Student Engagement. The survey, taken by over 28,000 law students from almost 100 different law schools in the US and Canada helps law school administrations capture essential information to help create more “learner-centered law schools”. LSSSE attempts to capture this information with detailed and directed questions about how students spend their time, what they feel they’ve gained from their classes, their assessment of the quality of interactions with faculty and friends, and information about important activities. All of this information is then complied into separate analytic reports to help school administrators identify data around four general themes. 1) Think Like a Lawyer 2) Student-faculty interaction 3) student advising 4) law school environment. Our 2013 LSSSE results were received this past week and I’m so excited to begin digging through the data to learn more about the job Pepperdine Law is doing in preparing our students (in our student’s eyes). The findings should be available later this summer but I’ll be sure to post an executive summary at some point in July. At the time, I felt as if I wore three hats – the family hat (husband/father), the job hat (pastor of a local church), and the community hat (president of our local Habitat for Humanity). I was overwhelmed on all three fronts. My family was suddenly homeless, a full one-third of my church was homeless, and, of all things, our Habitat for Humanity affiliate was trying to eradicate poverty housing from our community – we were suddenly going backwards!!! So it stands to reason that I think my life goal in 2005 is a decent goal for you to adopt in 2013, too. It is unlikely that you will ace the bar exam, and that really shouldn’t be a thought in your mind anyway. No, you’ve got a lot coming at you, so just commit to something else that is rather impressive in its own right. Be a survivor. Get up each day, face the daunting pile of work, give it your best for the day, and then get some sleep. Rinse and repeat. Research from Professor Rob Anderson was highlighted in the Wall Street Journal last week. You can read about it HERE. As many of you know, this Fall will mark the second year of our newly minted ‘Preceptor Program’. The program, which matches 1L’s with local area attorneys or judges, which was deemed a huge success really hinges on the amazing professionals that generously gvve their time and energy to our students. 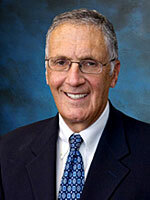 Today I’ve picked one of last year’s favorite preceptors to feature, Pepperdine School of Law alum, Mark Cramer. Mark graduated from Pepperdine Law in 1998 and immediately began work as a litigator with Kirkland & Ellis, LLP. During his 15 year career with the firm, Mark has worked on everything from complex litigation including nationwide class action to arms length contract disputes. Now a partner with the firm, Mark credits his education at Pepperdine as one of the main reasons for his success. More impressive still, is Mark’s unwavering commitment to Pepperdine and its students, serving as a member of the School of Law’s Board of Visitors and being willing to be involved in any and all projects asked of him. One such project involved the production of the School of Law’s Preceptor Video, where Mark again, rose to the occasion, conveying why this program is special and sorely needed in today’s law school climate. Featuring a panel of nationally recognized experts in dispute resolution, the School of Law’s 26th Annual Professional Skills Program will take place over three days, from Thursday, Jun. 20, to Saturday, Jun. 22, on Pepperdine’s Malibu campus. This comprehensive program provides three days of unique educational opportunities for practicing professionals. Participants will network with nationally prominent faculty, as well as participants from the other specialties at plenary sessions, lunches, and receptions. Participants select the process in which they desire expertise (one course only), as all programs will be presented simultaneously. To provide for personalized instruction, enrollment for each course is limited to ensure a close working relationship among the faculty and participants. Course sessions will include lectures, small group discussions, and practice exercises. Faculty and other participants will also provide performance coaching. You can see the list of courses offered in the program HERE. Pepperdine Law will be working with the LSAC (www.lsac.org) this Spring semester to help bring racially diverse, community college and other early college students an understanding of the Law as a profession. Each year the LSAC helps partnering law schools program events that address early outreach, awareness, and preparation aimed at racially and ethnically diverse students who are first- and second-year undergraduates. This will be Pepperdine’s first time working with LSAC on such important work and we’re all excited to see more students impacted by what a career in the law can be. Things haven’t seemed to slow down for me as much as I expected this summer! Still, summer has provided the opportunity to do a few things that get pushed to the side during the academic year, including catching up on some reading. One of the books I have already finished is from an esteemed member of our faculty, the former ambassador to the nation of Malta, Douglas W. Kmiec. Professor Kmiec has lived a fascinating life, ranging from terrific opportunity to terrible tragedy. 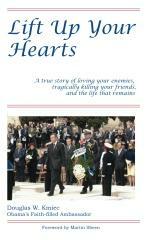 His book, Lift Up Your Hearts, tells the story of both. HERE is a Pepperdine news release about the book. Pictured above is the summer intern staff at Christian Legal Aid of Los Angeles — a significant number of whom are students from Pepperdine Law. It is commonly understood that public interest lawyers earn less money than private attorneys. That poor people cannot afford to pay is the easy explanation. It is also commonly understood that poor people often have significant legal needs — needs that simply go unmet in many situations. All attorneys are encouraged to donate hours each year to provide legal counsel to individuals who cannot afford to pay (a concept known as pro bono). In addition, public interest firms make it their day job to serve these clients. Still, according to the Christian Legal Aid of Los Angeles website, hundreds of thousands of clients’ needs go unmet just in Los Angeles. One significant blessing in this unfortunate situation is that law students need legal experience, and since public interest law firms can surely use the help, summer is a great time to insert large numbers of law students into the public interest community to work with clients under the supervision of practicing attorneys. It makes me happy to recognize many of those smiling faces in the picture above, to know the hearts that match those faces, and to realize that these students are helping transform lives in desperate need this summer.